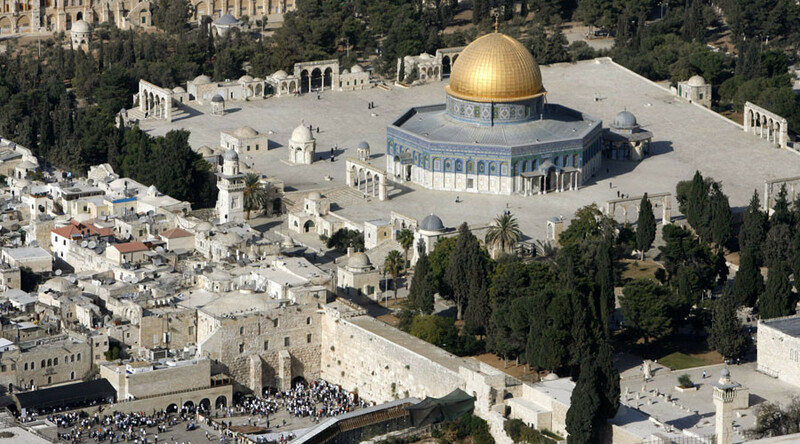 Israel has suspended cooperation with UNESCO, saying the body’s recent resolution on the Temple Mount and Western Wall in Jerusalem deny Jewish history as the draft text maintains the two holy sites will be referred to by their Arabic rather than Hebrew names. Tel Aviv accused the United Nations Educational, Scientific and Cultural Organization (UNESCO) of ignoring thousands of years of Jewish ties to Jerusalem and of aiding Islamic terrorism. “Yesterday’s decision is a denial of history and gives a boost to terror,” said Israeli Education Minister Naftali Bennett. UNESCO passed the draft resolution on Thursday. According to the document posted on UNESCO's website and dated October 12, the holy sites will be referred to by their Arabic name, Haram esh-Sharif, while the Hebrew terms will only appear in quotation marks in UN references. The draft also refers to “Occupied Palestine” and the need to “safeguard the Palestinian cultural heritage and the distinctive character of east Jerusalem,” referencing Islam’s third holiest site, the Al-Aqsa mosque. On Friday, Israel suspended all UNESCO activities in the country. “I have notified the Israel National Commission for UNESCO to suspend all professional activities with the international organization,” Bennett wrote in a letter to UNESCO Director General Irina Bokova. “The heritage of Jerusalem is indivisible, and each of its communities has a right to the explicit recognition of their history and relationship with the city,” she said. The resolution was supported by 24 states, with six countries opposed and 26 abstaining in a vote that received massive condemnation in Israel. Submitted by Algeria, Egypt, Lebanon, Morocco, Oman, Qatar, and Sudan, it will be referred to UNESCO’s executive board for formal approval next week. The Temple Mount area was controlled by Muslims after it was recaptured from crusaders in 1187. It came under Israeli occupation following the Six-Day War in 1967. Since then, the site has been a flashpoint between Israel and Muslims. Palestinian delegate to UNESCO, Mounir Anstas, also defended the cultural body’s decision. 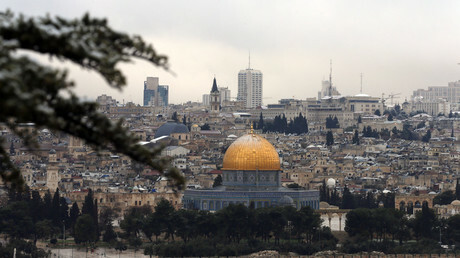 “Israel pretends that in this decision Palestinians and the Arab group denies the historic and importance of the old city of Jerusalem to the Jewish people, actually if you read the third paragraph of the decision you will see that it starts by the recognition of the historic importance for the three monotheistic religions,” he told Euronews. Israeli Prime Minister Benjamin Netanyahu unleashed his own barrage of criticism in response to the UNESCO resolution. “The theater of the absurd continues with UNESCO and today the organization has made its most bizarre decision by saying the people of Israel have no connection to the Temple Mount and the Western Wall,” Netanyahu said on Thursday. “To say that Israel has no connection to the Temple Mount and Western Wall is like saying China has no connection to the Great Wall of China or Egypt has no connection to the pyramids,” the PM added. The US, Israel’s chief ally, has also registered its opposition to the resolution, claiming it will damage the peace process. State Department deputy spokesman Mark Toner said it would “do nothing to advance constructive results on the ground” and should not be adopted.